So You Want God To Speak To You? You Want To Know How To Hear The Voice Of God? All it takes is 4 minutes for Rev. Matt Richard to preach the truth about "Hearing God's Voice" and understanding "How God Speaks To You" in this life. While driving in his car. VIDEO: Lightning Cut - Why Can't I Hear God? In this episode, Pastor Richard answers a question about hearing God's voice. Where does God speak? Does He speak in nature? Does He speak in that still small voice in the caverns of the heart? Does He speak through experiences? 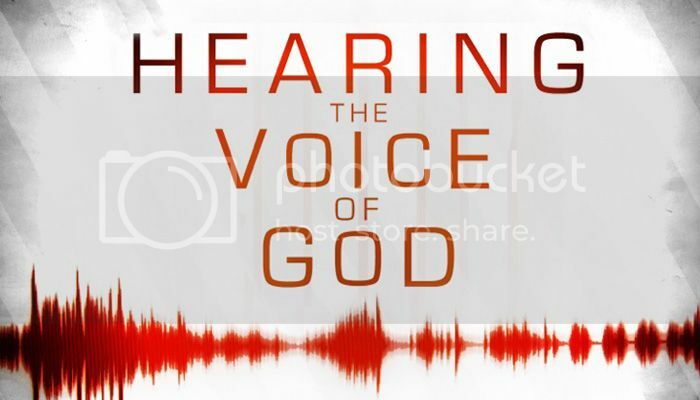 Thankfully, we do not have to try to figure out God's voice in these so often unpredictable circumstances, but rather, Pastor Richard shares where we can clearly hear God's Word for us - His voice is right where He has promised it to be. Speaking of "hearing" the truth with our God-given ears, ironically, this is the truth we rarely hear anymore so God bless Pastor Richard for proclaiming it. God serves us with Word and Sacrament. They are the means by which he delivers to us forgiveness and eternal life. By faith we grasp the promises that God gives with these means. Faith knows no other way to grasp God’s promises apart from these means. If someone tries to get around these means than that is being done apart from faith. Such a person is not trusting God’s sure and certain word. It is nothing short of unbelief. So it is quite harmful to believe that God deals with us apart from these means. Even if someone claimed God told them to do something good, yet if the voice they obeyed was Satan, then what they did was evil because they did Satan’s will. For he always wants to direct sinners away from God’s promises. If Satan could get you to fill your life with good works and not grasp by faith God’s promises in Christ then Satan has won you over. And even if God did speak to your friends then that is not the basis on which to be certain that one is dealing with a merciful God (Perhaps God, for his own purposes, is thwarting Satan). But the only certain way we know that God himself is dealing with us is through the Word and Sacraments. For only when God deals with us through the means that give us Christ can we be certain that we have a merciful God. The author of Hebrews points out how God has spoken to those who have gone before us in the faith. Now, in these last days, God has spoken to us by His son. His disciples have recorded the words and deeds of this Son, Jesus Christ. Not only that, but Jesus also instituted Baptism, the Lord’s Supper, Absolution, and the preaching of this Word. It is through these, which we identify as the external Word (in contrast to an “inner” or hidden word), that Scripture promises that the Holy Spirit works. For this reason we confess that we reject the teaching which would say that the Holy Spirit works outside of the external Word. The real danger is that when people think “God” is talking to them, that voice is indistinguishable from that of Satan. After all, Satan comes and deceives. He uses Scripture (and twists it) and often is disguised as an angel of light (2 Corinthians 11:14). Let's also not forget what Hebrews 1:1–2 says: "Long ago, at many times and in many ways, God spoke to our fathers by the prophets, but in these last days he has spoken to us by his Son, whom he appointed the heir of all things, through whom also he created the world." In other words, don't go looking for a burning bush or a talking donkey. Look for Jesus in the Word and Sacraments, and where two or three are gathered in His name, or exactly where you know you can always find Him. In a Lutheran layman's terms, if you want to hear the voice of God, if you want to hear God speak to you, then you need to look in the only places where He promises to do that and promises to be present. As has been said and written many times before, if you want to hear the audible voice of God, if you want to hear God speak to you audibly, then open your Bible and read it out loud.